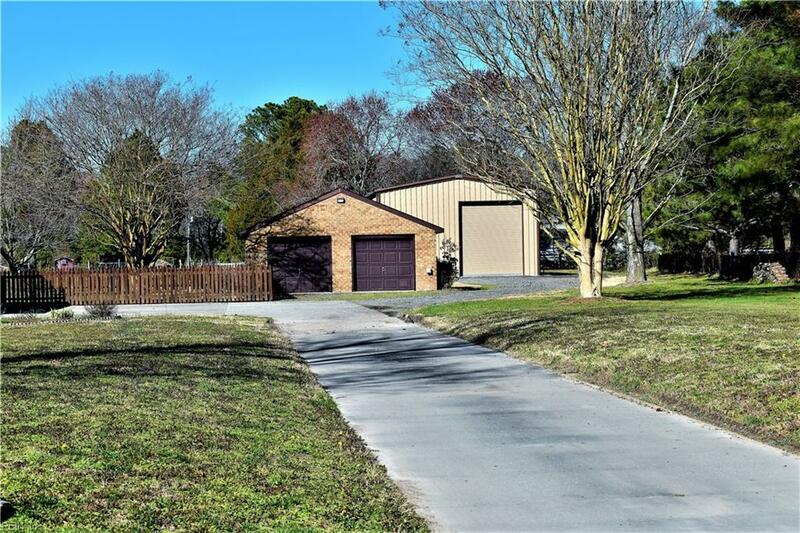 1416 Bridge Point Trl, Suffolk, VA 23432 (#10245132) :: Abbitt Realty Co. Here is your needle in the haystack! Got an RV(s)? Need boat parking? Need a shop? Have multiple cars? Like to garden? Love walk-in closets? Hard wood floors? Sun Rooms? TONS of bonus space and storage? Outdoor entertaining area? THIS house checks ALL of those boxes and many more! 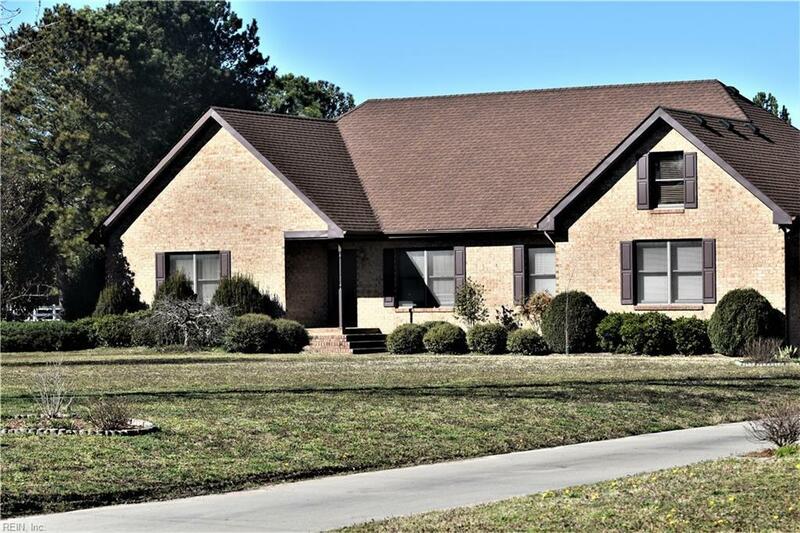 This beautiful custom brick ranch boasts 3,026 sq ft of living space. 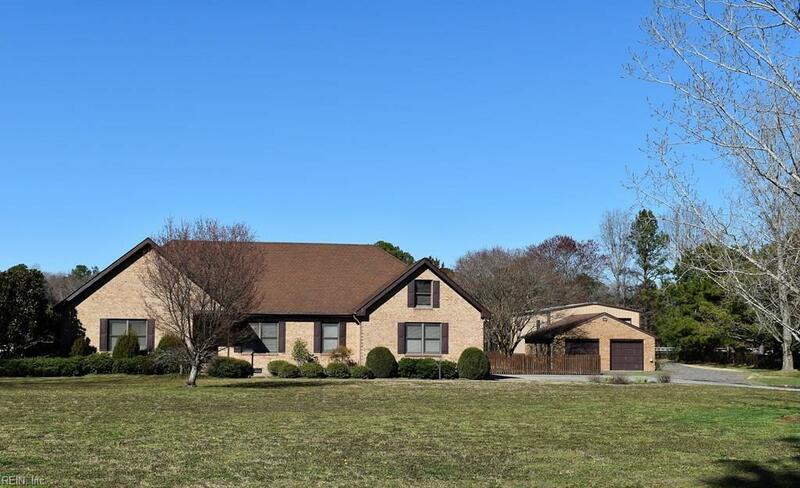 3bd, including over sized master suite with extra large walk-in closet, FROG that can be the 4th bd with separate sitting area or ultimate game room/office. Anderson windows, new flooring, granite, custom kitchen island with matching hutch. Ventless gas fireplace in FR. For energy efficiency - geothermal unit, 500 gal propane tank, new Rinnai tankless water heater and a 35KW whole house generator that is propane powered. 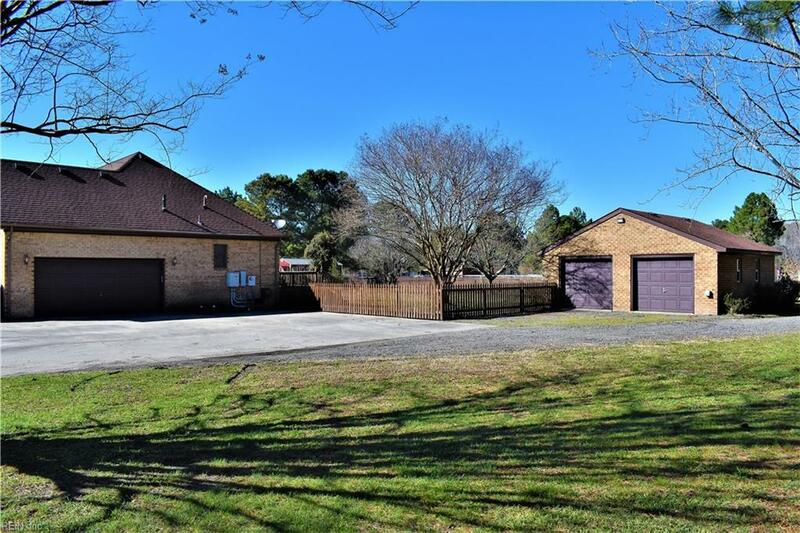 For the cars we have an attached two car garage and another detached two car garage. Last but not least - 30x50 high bay shop with 200 AMP svc, dual 50 amp hook ups and dual entry to shop. All on 2.63 perfect acres.